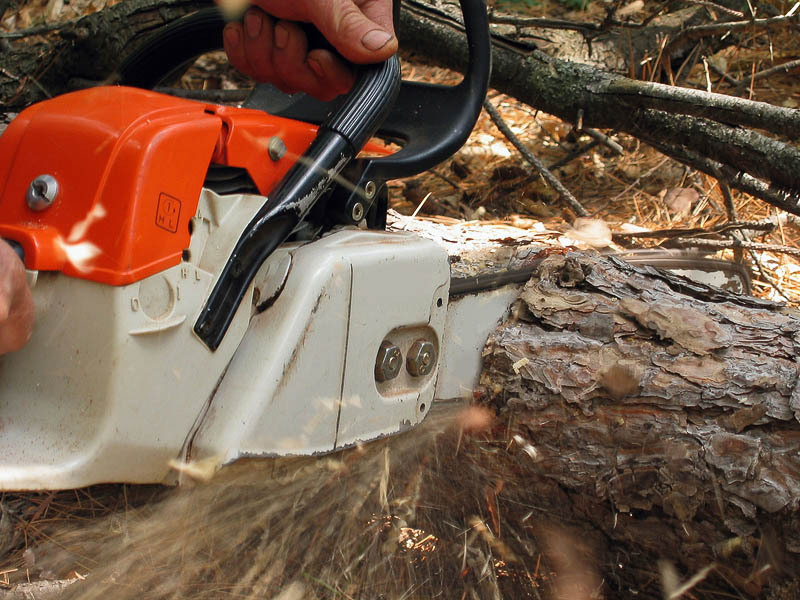 Motor chainsaw machine cutting pine wood trunk. Wood, timber industry. Nature and ecology.